Explanation: Spacecraft Rosetta continues to approach, circle, and map Comet Churyumov-Gerasimenko. Crossing the inner Solar System for ten years to reach the vicinity of the comet last month, the robotic spacecraft continues to image the unusual double-lobed comet nucleus. 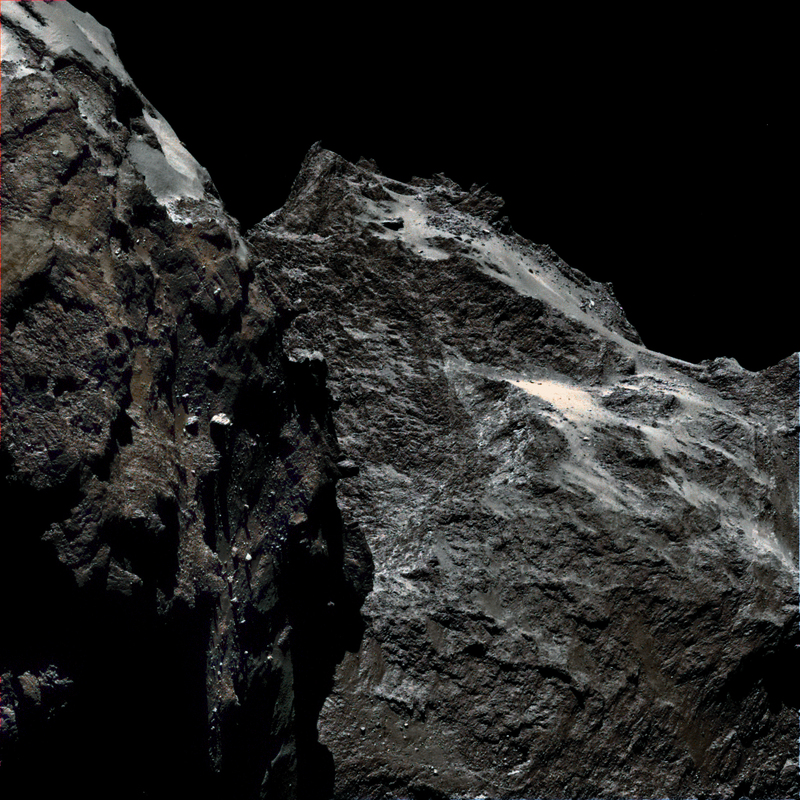 The reconstructed-colour image featured, taken about 10 days ago, indicates how dark this comet nucleus is. 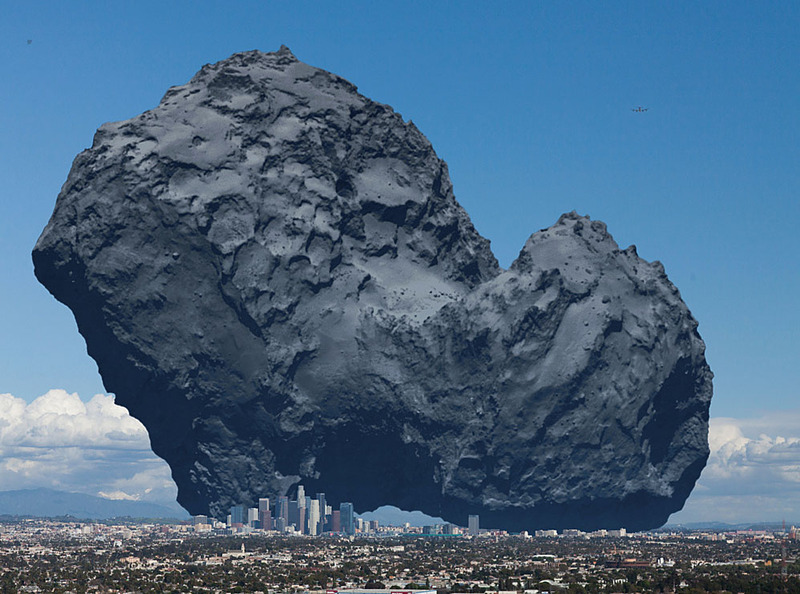 On the average, the comet's surface reflects only about four percent of impinging visible light, making it as dark as coal. 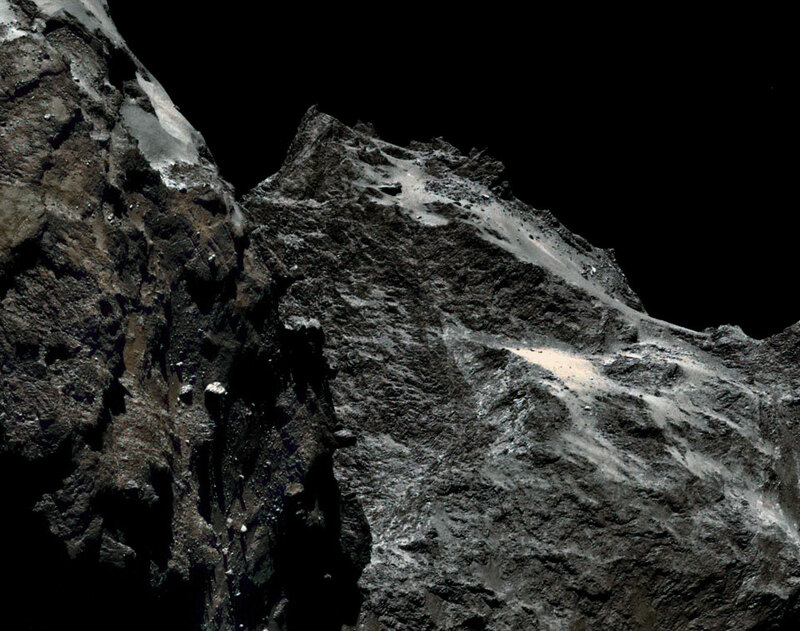 Comet 67P/Churyumov–Gerasimenko spans about four kilometres in length and has a surface gravity so low that an astronaut could jump off of it. In about two months, Rosetta is scheduled to release the first probe ever to attempt a controlled landing on a comet's nucleus.